Order cancellation is the easiest process with qlo. 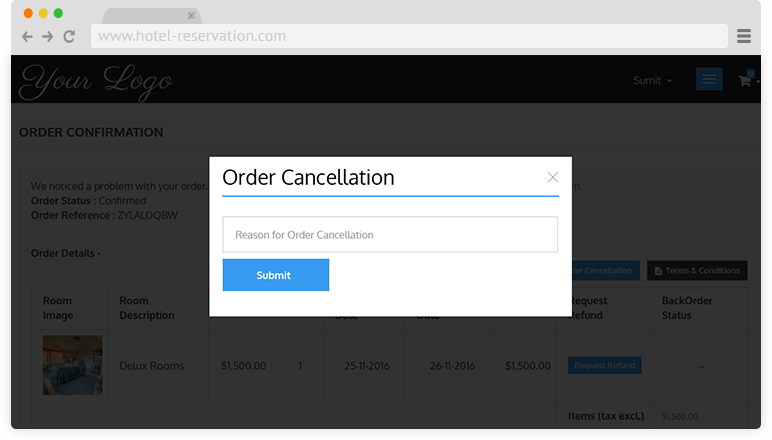 Customer can easily send request for the cancellation of the booking to the admin. Customer just have to visit their own order and click on the order for which they have to send refund request. Once the refund request is send the status will be in pending. Now, when admin approves/disapprove the refund request the status change accordingly. Admin can refund the amount according to the refund rule or can deduct less amount, if the customer is frequent one and admin wants to show gratitude to the customer.